Wow! This 1 yr old First Texas home looks like new. MANY energy-saving features! The 6 bdrm, 4 bath plan offers space in all the right places-game rm, media rm, study. Tons of upgrades: pocket doors, customized master closet, double shower, granite counters, custom sinks, added arches, media room wiring, extra electric outlets, dual ovens, stone fp, & much more. Private cul-de-sac lot with ample back yard & covered patio. Don't miss this one! Call the Grove Team, (817) 337-0000 or find us online, www.groveteam.com to schedule your private showing today! The Grove Team is proud to introduce 12744 Lizzie Place, located in the popular Saratoga Addition. With access to desirable Northwest ISD and thoughtful design in the details such as art niches, vaulted ceilings, window seat in the kitchen, and a see through fireplace you'll want to make time to see this! The striking Brazilian teak hardwood floors extend throughout the entire first floor. Enter into the cook's kitchen complete with granite countertops, tumbled stone backsplash, premium built in appliances and generous cabinet /counter space. The master suite offers relaxation and an adjoining sunroom that could be used a sitting room, study, office or a nursery. Luxury extends through to the master bath, with its garden tub, oversized shower, and walk in closet. Don't forget to take a look upstairs featuring a full bath and gameroom. Contact the Grove Team today to schedule your private tour of this great home, (817) 337-0000 or find us online, www.groveteam.com. 2) Looking for a home - Learn first about the areas in which you might want to live and look at homes that meet your criteria. 3) Your offer - When you find your home, present a competitive offer immediately. Your Realtor has extensive experience in contract negotiations. She or he will ensure your requests are documented and the contract reflects your choices. 4) The contract - When the seller accepts your offer, your Realtor will advise you on the steps to take as you arrange for financing, insurance and inspections. 5) Inspections - Inspections are performed to ensure that you understand as much as possible about the condition of the property you are buying. Repair details may be further negotiated, and we head to closing! 6) Your new home - Be prepared to bring a certified check to the closing procedure. After signing all the paperwork and funding of the loan, the next steps you take could be over the threshold of your new home! Are YOU ready to go step by step through the buying process? Contact the Grove Team today to begin your journey with one of our leading Buyer Specialists. Buying homeowner’s or automobile insurance is easy, right? You call around for quotes or tap into various insurance companies’ web sites and determine the best price for the greatest amount of coverage. Not so fast. These methods could cost you thousands of dollars without your realizing it until it is too late. will review and adjust your insurance needs as your lifestyle changes. So how does this save you thousands of dollars? Let’s say you are purchasing homeowner’s or renter’s insurance. The basic policy covers specifically named threats such as lightning, wind, fire, smoke, explosions and theft. You need to know to ask for coverage for any other risk that concerns you. In addition, as far as your property values and what you can recover in a claim go, you can choose a policy based on replacement costs. This allows you to replace a 2-year-old item today at its current market price as opposed to actual cash value which only reimburses you for what the item is worth today after depreciation over the two years. Of course, choosing the replacement cost option is the smart route to take even though it is more expensive. Unless the person writing the policy explains this, do consumers know to ask for the replacement-cost policy for their home as well as for personal property? Keep in mind that certain items such as jewelry, guns or a stamp collection are only covered up to a certain monetary limit unless you request a clause (rider) in the policy for additional coverage. There’s nothing more frustrating than losing $10,000 worth of jewelry, only to learn that the basic coverage only covers $500. That’s $9,500 out of your pocket. A personal agent can walk you through your home inventory and determine what additional clauses you should request and pay for in your policy. For example, what about flood and earthquake coverage? Because a consumer would not typically know to ask these questions, it is a huge savings in the long-run in case of a claim from a disaster or theft. Another example is to consider mortgage protection so in the event that a spouse dies, the mortgage on the house is under coverage. There’s a multitude of issues to deal with that the average consumer does not realize are not covered in a basic policy. It is important to make sure your liability package protects you, your family and your assets. If you are legally judged to be liable for an accident that occurs on your property, you may be held responsible for damage to property, hospital and medical payments, rehabilitative care, lost wages, and possibly pain and suffering of the injured person or persons. You could be sued for the full cost of damages. Should the cost of the loss exceeds the amount of your liability insurance coverage, you may have to pay the remainder. So it’s very important to make sure you have enough liability coverage to protect your assets, or again you could lose thousands out of your pocket. It’s definitely worth a few extra dollars up front per month to make sure you are adequately covered. Remember: The bottom line is to make sure you, your family, your home and your business are always well taken care of! Become a Fan of AF Insurance Agency on Facebook! The Grove Team would like to thank Sandy Shetty, Benchmark Mortgage for the following information. This is great to have available when you are considering options with buying and selling. Sandy's information is below, please feel free to contact her directly when considering a new home loan. Lenders use credit scores to measure how you handle debt. The number you’ll see most often is your FICO score. It runs from 300 to 850. The major credit reporting bureaus developed a rival, VantageScore, with scores from 501 to 990. Missed mortgage payments, serious loan delinquencies, loan modifications, short sales, foreclosures and bankruptcies all drag down credit scores. Because a mortgage is such a big slice of anyone’s credit profile, it carries more weight than other loans. Both FICO and VantageScore have studied and quantified those impacts. They reached similar conclusions: for people with near-perfect records, a single mortgage payment that’s 30 days late reduces a credit score enough to hurt. For anyone, a short sale — selling a home for less than the amount owed — can be almost as destructive as a foreclosure. In contrast, a loan modification — when the lender approves new loan terms — can have a “very, very minimal” effect, said Sarah Davies, the senior vice president for analytics at VantageScore. In some cases, the borrower’s score might drop 10 or 15 points. With a loan modification, said Joanne Gaskin, the director of global scoring solutions at FICO, “the consumer does not have to go delinquent to get assistance.” Modification horror stories abound; some borrowers have been told they can’t be helped unless they’ve already missed payments. That doesn’t have to be the case, said Josh Zinner, the co-director of the Neighborhood Economic Development Advocacy Project, a New York City nonprofit company active in foreclosure prevention. It’s not a perfect solution — HAMP has been criticized for not helping enough borrowers. There are plenty of paperwork hassles, and points in the process where credit scores are in peril. Still, because of “some really profound consequences” to bad credit, modification is worth pursuing, he said. Employers increasingly check credit. Housing options may be limited. “Virtually all landlords look at credit,” he said, adding that getting a mortgage can be difficult. Car loan and credit card costs jump. * 30 days late: The gold-plated 780 drops to 670-690, the middling 720 becomes 630-650, and 680 is now 600-620. Effects are most significant for the strongest borrower. “A continued progression is going to have less and less impact on a score,” Ms. Gaskin said. * 90 days late: This is seriously delinquent, and brings the onetime best borrower down to 650-670, the midlevel one to 610-630, and the weakest to 600-620. * Short sale, deed in lieu of foreclosure, or settlement, assuming the balance has been wiped out: The result is just a bit less serious. The 780 score deteriorates to 655-675; 720 to 605-625; 680 to 610-630. * Foreclosure, or short sale with a deficiency balance owed: For either, 780 is 620-640; 720 is 570-590; and 680 is 575-595. At a certain point it might seem as if there was not much difference between bad and worse, but remember that the lower the score, the longer it takes to climb back. For more information about short sales or listing your home using the short sale option, contact us here at the Grove Team. Our team has extensive experience working with homeowners in challenged situations. Reach us direct, (817) 337-0000 or find us online, www.groveteam.com. To find out how we can get you TOP PRICE for your home, call the Grove Team or visit our website and learn more about the advantages we offer. (ARA) - If your patio furniture, barbecue grill or favorite outdoor planter were left outside this winter, they probably took a beating. But, think twice before you relegate your favorite lounge chair or lawn ornament to the landfill. It's easy to transform them and make them look better than new. All you need is a little imagination and a few cans of spray paint. "Replacing outdoor furniture can be expensive and in many cases, unnecessary," says Rust-Oleum home improvement expert and PaintIdeas.com blogger, Angie Stinner. "It's easy to transform worn, damaged outdoor furniture and accessories with a little spray paint. And, with a variety of popular colors and on-trend finishes from which to choose, you can upcycle the things you already own and make them look better than new." Create "designer" furniture. Designer patio sets, lawn chairs and other outdoor furniture can cost hundreds, even thousands of dollars. But, it's easy and inexpensive to give the furniture you already own a facelift that mimics the look of trendy designer furniture with a few coats of spray paint. Create a durable designer look that sparkles in the sun with a textured black paint with flecks of silver. The texture adds depth, elegance and unmatched protection to any project. Or, create a rich oil-rubbed bronze finish, while protecting your furniture from the elements with Rust-Oleum Universal spray paint. Choose an unexpected color, like Painter's Touch 2X Satin Eden. You also can transform garage sale bargains, flea market finds, or used furniture you find on sites like CraigsList or Freecycle with spray paint to get a designer look without the designer price tag. Revive an old barbecue grill. If your grill was buried under three feet of snow, it could probably use a little TLC. Why not revive it with a spray paint specifically formulated for high heat applications, like grills? For example, Rust-Oleum High Heat Ultra resists heat up to 1,200 degrees Fahrenheit so it's great for grills, fire pits and wood burning stoves. Plus, it's available in traditional black, as well as stylish colors and finishes, like brown and aged copper so your barbecue grill will look better than new. Accessories can get a second life too. No need to toss planters, lawn ornaments or other outdoor accessories because their finish has been weather damaged. Spray paint can give them a second life. Try spray painting planters with Rust-Oleum Stops Rust for a rooftop garden or patio in a variety of vegetable colors - Sunrise Red for tomatoes, Hunter Green for lettuce or green peppers, different shades of green for herbs. Or use Universal Brown Hammered to give worn statuary a rustic, modern look. The possibilities to add a splash of color - or a little sophistication - to a patio, rooftop or backyard are endless. For more inspiration, project ideas - or to share a project you've done - visit PaintIdeas.com. Or, find Paint Ideas on Facebook at Facebook.com/Paintideas. Are you or someone you know considering buying or selling real estate? Call on the Grove Team for all of your real estate needs. Reach us at the office, (817) 337-0000 or find us online, www.groveteam.com. Welcome home to 8524 Western Meadows Drive, Fort Worth. Located in the Coventry Hill Addition, this home boast a marvelous floorplan with space in all of the right places. Gleaming new hardwood floors, fresh paint, remodeled half bath and much more! Featuring four bedrooms, three and a half baths and over 2,580 sqft this home will not last. Offered by the Grove Team at $170,000 check out our video, then call us to schedule YOUR private showing. Find us online, http://www.groveteam.com/ or call us, (817) 337-0000. Selling your home is more than just putting a sign in the front yard. Marketing a home in today's competitive environment cannot be done in a hit or miss fashion. ~ Where the buyers look first when shopping for a home. ~ Which marketing methods generate calls. ~ Where buyers who move to your area are moving from. ~ What small home improvements generate big responses from buyers. As your real estate team, the Grove Team makes it our business to know these answers. To learn more about our services, visit our website or call us direct, (817) 337-0000. As your Northest Tarrant County professionals, it is important that our service speak for itself. ~ In a market where the average days on market is more than 96, the Grove Team averages 83 days on market with our listings. 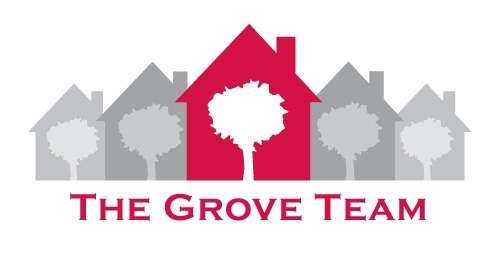 ~ In a market where the average agent sells 4 to 5 homes each year, the Grove Team seller 80 to 100+ homes every year. ~ In a market where many agents work part time, the Grove Team are all licensed agents who work full time for you. Finding your way to successful results in the competitive world of real estate can be a challenge. That's why it's important to have a seasoned guide by your side to help point you in the right direction. Concierge service, stealth marketing, and unsurpassed customer care make the Grove Team what it is today. 56% of our business in 2010 came from past clients and past client referrals. 46% of Grove Team listings sell in 30 days or less. Our listings average 97% list to sales price. Call us today or visit our website to discover the difference. (ARA) - For years, the conversation about strengthening your home's value has revolved around interior projects. However, by keeping the focus inside, you might be ignoring one of the most effective ways to bring your property value up: the garden. When discussing home value, "garden" means more than just flower beds. It includes your lawn, gathering spaces on your property, paths and walkways, in addition to the trees, shrubs and flowers that decorate the space. In a housing market where it's still difficult to stand out, turning your attention and efforts to these areas might be just the thing that will attract buyers. It's a simple concept: A more attractive house is a more valuable house. And since your yard and garden are often what buyers see first, it's your best opportunity to set the tone as they consider your property and what they're willing to pay for it. In fact, well-designed landscaping was shown to raise perceived residential property value by as much as 18 percent, in a study recently released by Swedish power tool maker Husqvarna. In terms of return on investment, maintaining an attractive lawn and garden was shown to return $1.80 per dollar spent. For those who want to improve their home's value but can't afford to hire contractors for major interior repairs, garden improvements can be an affordable alternative. Armed with the right tools, most homeowners are capable of tackling garden projects that can improve their property value, and at a relatively low cost. To get a better understanding of what lawn and landscaping equipment would be most beneficial to your yard, visit an outdoor power manufacturer website like http://www.husqvarna.com/us/. Simply edging your yard with a string trimmer helps create a clean, finished look outdoors and can be achieved for less than $200. While many Americans are reluctant to spend much on their yards - some 65 percent of people spent less than $400 on it annually - keeping return on investment in mind can help you make better smarter decisions. * Nicely designed flower beds Gardening season and the high real estate season coincide for a reason: Houses look their best surrounded by growing plants and blooming flowers. As the warmer months progress, remember that not only can investing in your garden give you a good return, it could also be the deciding factor in drawing a buyer to your property. The Grove Team offers the experience to assist you in every aspect of home ownership. Whether it's selling your home or finding a new one, the Grove Team is committed to a real estate practice that centers on our clients. The success of this philosophy shows in our 80 to 100 sales each year. Contact us direct for all of your buying and selling needs, (817) 337-0000. Find us online, www.groveteam.com. The success of this philosophy shows in our 80 to 100 sales each year. When you're armed with the right information, and an experienced real estate team, you'll be closer to reaching your goal - selling your home fast, and for the best price. As warmer weather approaches, it's a great time to take a look out your windows and see what the view of your home is offering your neighbors. Are there any areas of your landscaping or home's exterior that could use a bit of an upgrade to help boost your home's curb appeal? Whether you intend to live in your home for several years, or have plans to list your house on the real estate market soon, enhancing your home's curb appeal can boost your enjoyment of the property and attract potential buyers. * Upgrade the mailbox. Mailboxes over time can start to look dingy and rusted from being out in the elements. Building a permanent brick or stone structure to hold a mailbox can add appeal to your yard, and also help protect the metal mailbox from additional rusting. * Add or update the lights by your front door or along the driveway. A beautiful glow in the evenings welcomes visitors (and buyers) to your home, at the same time providing you with additional security. Many wall, overhead, post and hanging lights styles are designed to work outdoors to add panache to your home and landscaping. * Brighten up your landscaping and decorate your house with flowers and maybe even some new shrubbery. If you can, add window boxes of vine plants mixed in with colorful blooms. Decorate along the driveway or around the mailbox with small green bushes. If you have a walkway through the front yard, consider lining it with a small and attractive fence. Or add a few pots of pretty flowers next to the garage doors to splash around a little color. * Replace your old, worn-out windows with new replacement windows. According to Remodeling magazine's 2010-2011 Cost vs. Value report, installing low-maintenance replacement windows is ranked as one of the best home improvement projects for your money. They can help reduce energy bills and add instant appeal to your home. Plus, windows that meet ENERGY STAR performance criteria qualify for the 2011 tax credit, adding to the overall value of replacement windows. Paul Delahunt, president of Renewal by Andersen, says of all the improvement projects a homeowner can start, window replacement is one that actually takes very little effort on the homeowner's part, but can make your house more beautiful and energy efficient - two benefits you can enjoy for many years to come. "Our experts help homeowners every step of the way," says Delahunt. "By selecting a professional company that can handle their entire replacement project start-to-finish, homeowners can sit back, relax and let us do all the work." Delahunt adds that new windows can also help with those dreaded spring cleaning projects. Since Renewal by Andersen windows are made with Fibrex framing material, for example, they do not require upkeep such as ongoing scraping and painting. He suggests visiting renewalbyandersen.com to see how new, beautiful windows can elevate the look of your home. Updating and enhancing the look of your house can do a lot for the pride you have in your home and for drawing prospective buyers if you decide to put your house on the market. Tackling some of these projects can go a long way in making your curb appeal stronger. Are you considering selling your home this spring? Call the Grove Team, (817) 337-0000 for your personalize marketing analysis today!